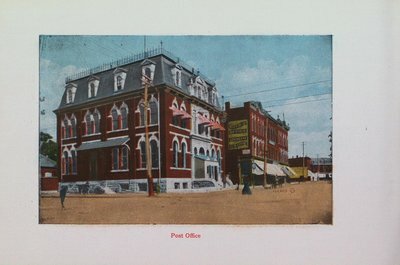 The Post Office, Queen Street East just before King Street, St. Catharines, Ontario. Souvenir of St. Catharines booklet. 1910.